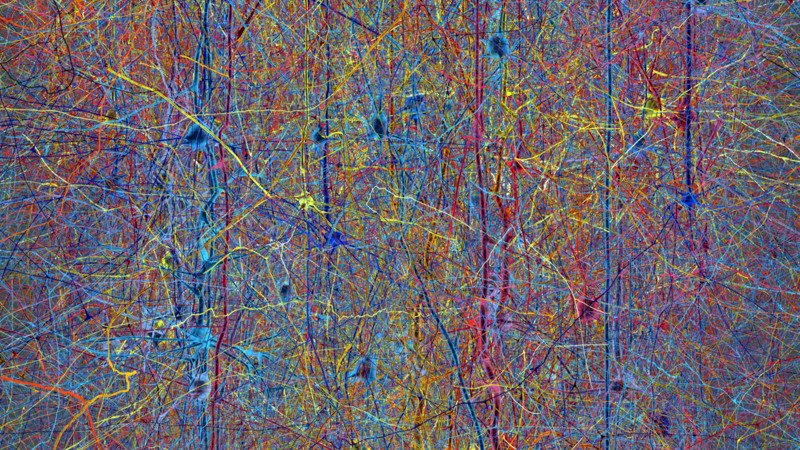 "Our brains are like a deep forest - a complex, seemingly impenetrable terrain of interacting cells mediating cognition and behaviour” - Javier DeFelipe. Image: Blue Brain Project / EPFL ©2005 – 2017. All rights reserved. The brain, writes HBP neuroscientist Javier DeFelipe, is comprised of thousands of millions of cells and thousands of kilometres of processes arising from these cells, which form an amazingly intricate network “without empty spaces”. Untangling, mapping and understanding this dense forest of connections is an enormous task, but DeFelipe believes there is cause for optimism, if the right strategies of interdisciplinary collaboration are followed. DeFelipe outlined his thoughts in a recent correspondence to Neuron. DeFelipe’s article outlines a brief history of neuroscientific breakthroughs that allowed an understanding of brain structure to grow, notably the early staining work of Camillo Golgi in the 1870s. This made neurons visible, and for the first time it was possible to characterize and classify them. Basic neuronal circuit diagrams followed. Today the gold standard method for tracing the connections is electron microscopy with serial section reconstruction. However, it is a painstaking process: it has been estimated that to create a high resolution 3D reconstruction of only 64,000 um3 of cortical tissue would take two people-years of continuous tracing (24 hr per day, 7 days per week). Even if an entire brain were reconstructed this way it would still not account for the large amount of variation in the ultrastructure between individual brains. “It seems clear that only by combining studies at the macro-, meso-, and nano-scopic levels can we fully understand the structural arrangement of the brain as a whole,” writes DeFelipe. DeFelipe’s thoughts echo those that came out of a workshop between three of the world’s major brain research initiatives late last year. Representatives of the Human Brain Project, the BRAIN Initiative in the United States and the Brain/MINDS Project in Japan meet in Brussels. A correspondence written as result of the workshop called for increased collaboration since “no single project can sufficiently achieve the task of understanding the brain.” It also highlighted the value of coordinating and standardising data. If steps like this to develop a global neuroscience can be taken, DeFelipe believes there is reason to be optimistic that achieving ambitious scientific goals, like those of the HBP and other collaborative brain research projects, can be achieved.